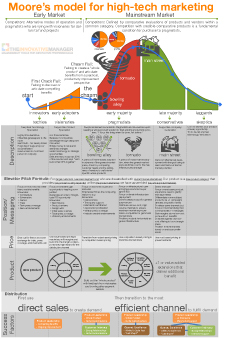 This post utilizes my Excel-based Blue Ocean Strategy Canvas template, which you can download here to follow along. Nintendo is one of the world’s most iconic brands. As a kid I remember begging my parents for each new generation of gaming system for Christmas. Times were good for Nintendo in those days but now because of a shift to gaming on smartphones and mobile devices and increasing competition from Microsoft and Sony, Nintendo’s fortunes are starting to run dry. 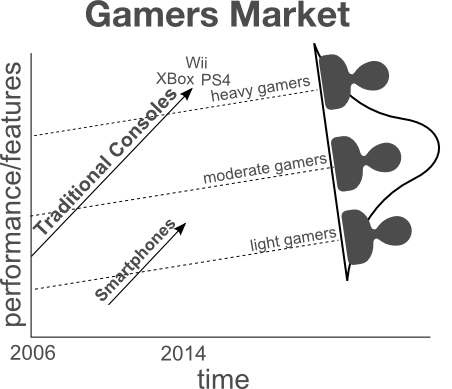 The Wii was Nintendo’s last blockbuster hit which launched in late 2006, just before the smartphone revolution started to take hold 2-3 years later (iPhone launched in late 2007 but did not reach wide adoption until a few years later). Nintendo and others didn’t seem to recognize the extent of the problem until their latest generation console – Wii U – fell flat on shipments and sales. Wii U has now been considered a failure by most accounts. 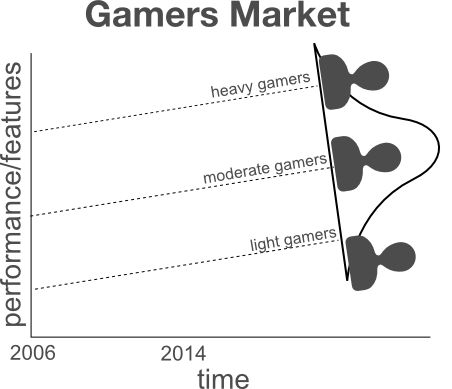 Using the disruptive innovation framework, I’ll plot these groups of gamers on a graph with the moderate gamers forming the majority of the market. Next I’ll add the solutions available in the market as a graph. When the first Wii launched in 2006, it was a smash hit because it appealed to the mass of moderate gamers and it was the first system to come with motion-sensing control – enabled by the Wii remote. When the Wii U launched in late 2012 it’s main feature was the addition of a touchscreen remote which enabled another dimension of interactivity for Wii games. However, while the touchscreen did add more interactivity, sales lagged expectations as consumers either made the shift to mobile games or opted for the alternative form of gaming interactivity offered by XBox Kinect (or PS4). To properly address the disruptive threat, Nintendo needs a disruptive strategy. Along these lines some Wall Street analysts have suggested Nintendo make their lineup of games available for other devices such as smartphones and tablets. Nintendo executives have resisted this suggestion saying that the games are what draw people to purchase their devices and making them available on mobile platforms would cannibalize those sales. Ever since the iPad launched in 2010, Mac sales have cooled off – mostly thanks to the popularity of iPad. If I were Apple, I wouldn’t be sad about that. To deal with the disruptive threat of smartphone and tablet games, Nintendo should simply release older games on smartphones and tablets to ensure they are riding the smartphone wave rather than getting crushed by it. They can still save the newest game hits for their consoles to maintain differentiation for their hardware devices versus smartphones and tablets. This strategy may help stop the bleeding at Nintendo but to cure the patient, Nintendo also needs a breakthrough innovation to ensure competitiveness against other high-end consoles. Historically Nintendo has seemed to rely on a benefit leadership strategy that pumps out breakthrough innovations the masses had yet to enjoy coupled with blockbuster game titles such as Mario and Zelda. 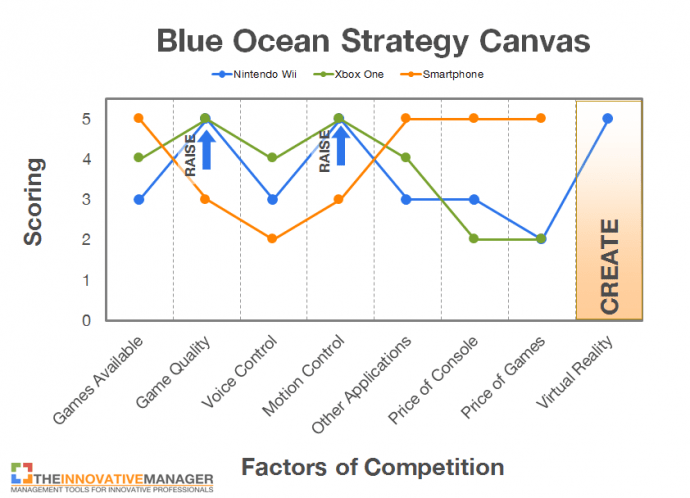 Now that we have a strategy canvas, we can use Blue Ocean tools to generate a new winning strategy for Nintendo. In a previous post I laid out the 5 steps to creating a Blue Ocean Strategy. 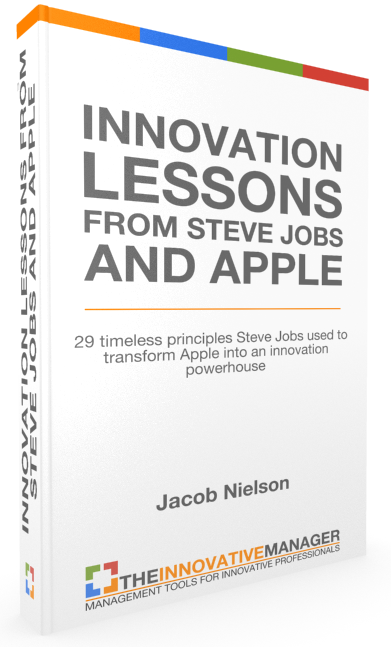 Let’s examine use of those steps with regards to Nintendo – assuming they will pursue an innovation that gives them benefit leadership again in the market. 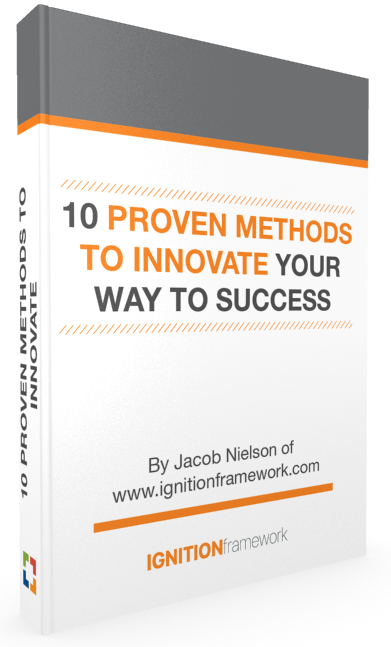 The first step in the process is to raise attributes on the strategy canvas. If I were Nintendo, I would look at the list of areas where the product is deficient versus Xbox and prioritize which areas should be raised first. Knowing it’s usually unreasonable to expect to raise every area versus the competition, I would choose to raise “Game Quality” and “Motion Control.” This is somewhat arbitrary and based on gut feeling of what’s most important but for now let’s go with those two. In this case I’m assuming Nintendo is going for a benefit leadership approach (reducing and eliminating factors of competition are more relevant to the disruptive innovation above). They will not gain much toward that end if they reduce or eliminate certain elements (except for maybe the touchscreen on the keypad :). For Nintendo to truly create a breakthrough innovation that gives them strong benefit leadership in the market again, they will need to create a new factor of competition and dominate that factor over the next several years. To explore what that factor should be, one only need to consider the gaming device that stole the show at the 2014 Consumer Electronics Show (CES) – Oculus Rift. As mentioned in the video, game console design cycles are quite long – between 4 and 8 years for Xbox – which means Microsoft and Sony will have just started that cycle last year. Given the positive press surrounding Oculus Rift, it’s a good bet that Microsoft and Sony are thinking of ways to support virtual reality – either something they build themselves or support for Oculus Rift. For Nintendo the ideal scenario is probably either to license the technology or acquire the company (or a portion of it). Because Oculus Rift has a long runway ahead of it, I doubt they would be very interested in an acquisition right now. As for scenario 3, Nintendo doesn’t get much out of that deal because they couldn’t brand the technology as Nintendo to the consumer. Address the low-end (disruptive) threat by releasing older games on to smartphones and tablets. Charge a small price for them (<$5) and keep your latest and greatest games exclusive to Nintendo hardware. Address the high-end threat by introducing Oculus Rift technology to the next generation Nintendo console before Microsoft and Sony do the same thing on their next console. 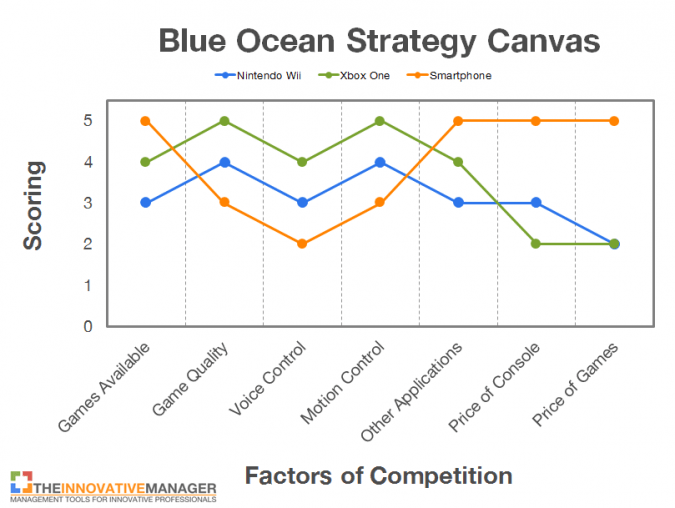 One Response to "Nintendo Needs A Blue Ocean Strategy To Avoid Disruption – Here’s How They Can Do It"
Jake, prescient article… I hope you use this in your portfolio of quals.